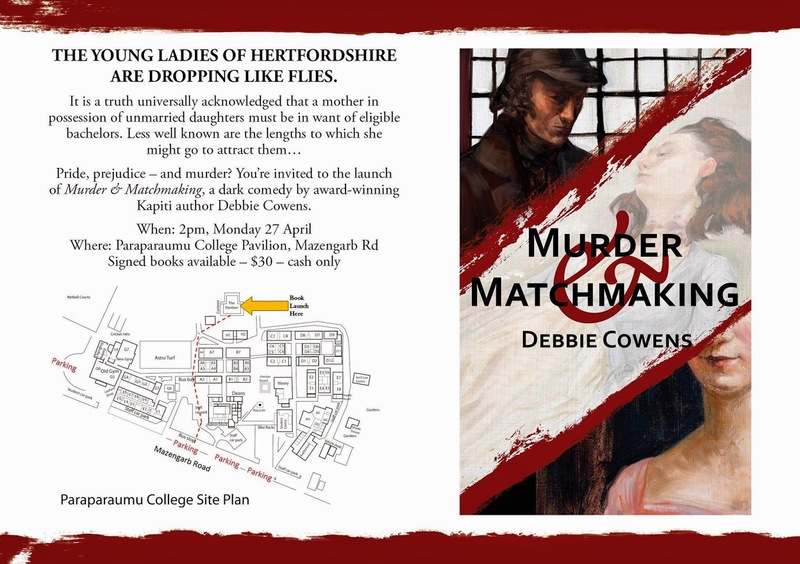 The book launch for Murder and Matchmaking is on Monday 27 April at Paraparaumu College Pavilion at 2pm. There will be book signings and afternoon tea provided. Copies of Murder and Matchmaking will be available for purchase at $30 (cash only). All welcome.